On Wednesday, not only did it debut a number of new releases, including a 2014 vintage under its flagship brand, Grange, it also unveiled a collaboration with National Geographic celebrating a century of Australian wine. 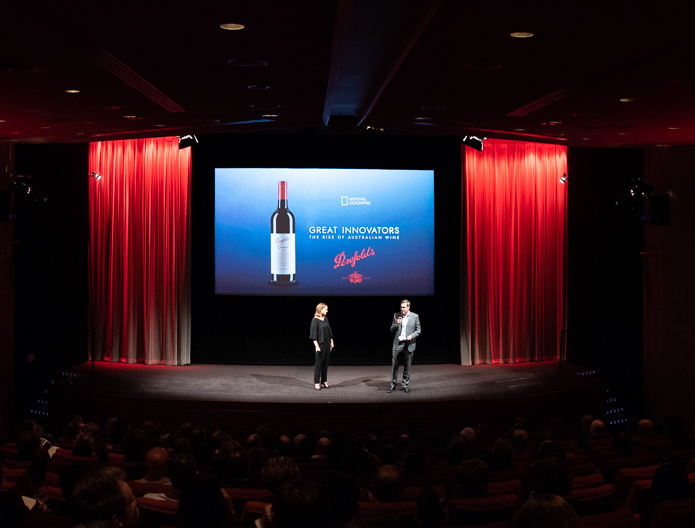 The 45-minute documentary, Innovators: The Rise of Australian Wine, sees Australian actor and winemaker Sam Neill team up with Penfolds chief winemaker Peter Gago. As part of their journey, footage was shot at the Magill Estate and at Penfolds’ re-corking clinics in NYC and London. Penfolds has been making wine Down Under for 175 years. This year it is releasing The Penfolds Collection 2018, which includes the 64th consecutive release of Grange. This year’s wines widens Penfolds stable of cabernets with the fifth release of Bin 169 Coonawarra Cabernet. According to Gago, this wine a contemporary expression of cabernet which is only released in exceptional years to showcase the regionality. The 2016 vintage, “Delivered to blueprint – regional, cool climate and chalky cabernet”, Gago said. The Penfolds Collection 2018 is available now. *RRPs are in GBP and reflect 750ml bottles.